Landis' Labyrinth, Inc: Want another great reason to vote for Landis' Labyrinth as your favorite kids store? Want another great reason to vote for Landis' Labyrinth as your favorite kids store? 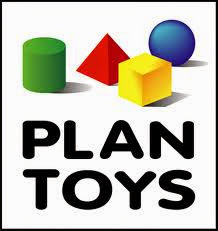 We just restocked our Plan Toys selection! One our our customers' favorite lines (and ours, too), this eco-conscious line of wooden toys makes everything from musical instruments to classic toys to play food. This is a line that flies out our doors, so be sure to stop by soon and snag yours before it's gone! Aaaaand if you're interested, don't forget we're still in the running for the South Bay Locals' Choice Award for best Kids Store. We would absolutely love it if you could take the time to visit https://surveyanyplace.com/app/s/exec/qid/lcsbretail/ and nominate us as your favorite (you don't have to give them your email unless you want to). In addition to bringing a smile to our faces, you can also enter to win for a $2000 shopping spree at Manhattan Village. You have nothing to lose and everything to win by voting! And even if you're a patron of our Larchmont shops, remember, what helps one shop helps the other so we would love your votes as well :) You can vote daily until June 28th.